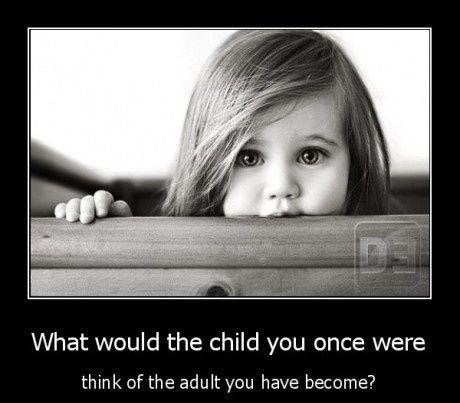 I think at this point in my life, the child I was would be proud of the person I’ve become. I, on the other hand, would tell the child that I’m glad she’s pleased — but hold on tight we’ve only just begun to shine! Today, for all those reading this, tell yourself and the child that still lives inside of you — your latter days will be greater than the past! This is good. I have problems implementing it though. I’ll have to work at it.